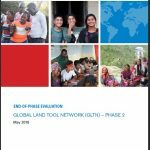 Since its launch in 2006, the Global Land Tool Network (GLTN) has been instrumental in laying a solid foundation for addressing this challenge. GLTN is a dynamic alliance of more than 75 global land actors and stakeholders who subscribe to a core set of values and principles and a shared work programme aimed at delivering improved security of tenure. 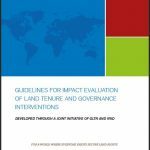 The essential function of GLTN is the development and dissemination of an inclusive land tenure approach with practical, innovative implementation tools that will leave no-one behind. The world faces housing, land and property rights challenges of critical proportions. Tenure insecurity affects the majority of the world’s people in rural, peri-urban and urban areas. The situation is particularly dire in developing countries, where in many cases over 90% of land holding is neither documented, administered or protected. Meeting this global challenge by achieving tenure security for all, is a crucial stepping stone towards sustainable human development. It is also essential for the realisation of human rights for all women and men. The United Nations 2030 Agenda for Sustainable Development is underpinned by five fundamental concerns: people, planet, prosperity, peace and partnership. The 17 Sustainable Development Goals (SDGs) and targets of this agenda are not achievable without a seismic change in land tenure security and land governance. As our populations grow and move, as we face the uncertainties of climate change, rapid urbanization and increased demand for food, we must design and implement land systems that work for all people and for the planet. The approach and tools are grounded in intensive normative tool development, complemented by testing in a selection of illustrative, catalytic demonstration countries.GLTN’s suite of 26 land tools and approaches, which are in various stages of testing and implementation, address five thematic areas and eight cross cutting issues. This includes 18 fully developed and field-tested tools being used in a growing number of countries; and which had by 2017 directly resulted in marked improvements of tenure security along the continuum of land rights for more than 200,000 households in 13 countries. The at-scale adoption, institutionalization and implementation of GLTN’s land tenure approach and tools by an ever-increasing number of partners and countries at both local and national levels, are essential for the success of Agenda 2030 and the attainment of the SDGs. GLTN’s Strategy 2018-2030 sets out how the Network will support national and local governments and other key stakeholders to fulfil their obligations for inclusive development and meet their Sustainable Development Goals commitments and Human Rights Obligations on land and tenure security. The strategy will remain a living document, subject to periodic review and improvement. Through effective in-country partnerships, to promote and facilitate the adoption and develop the necessary capacity for fit-for-purpose implementation, at scale, of land tools and practices promoting tenure security. 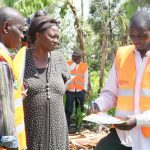 The purpose of the Strategy is to enable GLTN to effectively respond to the emerging needs, challenges and opportunities in the land sector, and successfully deliver the tools and know-how to meet stakeholders’ needs and requirements. By supporting governments and stakeholders to scale-up their approaches and efforts towards tenure security using tools, capacity development and communication, for more harmonized and institutionalized strategic interventions, GLTN will help achieve the impact required to improve tenure security for all; and promote the attainment of sustainable development. A Strong Vision: A world in which everyone enjoys secure land rights. A Strategic Goal: Improved tenure security for all, with a focus on women, youth and vulnerable groups. Accelerate reforms of the land sector by fostering global, regional and national discourse on responsible land governance and transformative land policies. Institutionalize inclusive, gender-responsive and fit-for-purpose land tools to scale up tenure security interventions. Monitor land-related commitments and obligations by mobilizing international, regional and national partners to track progress and build evidence. Share and develop capacities, knowledge, research and resources on land tenure security. The Sustainable Development Goals (January 2016): Five of the 17 SDGs (1, 2, 5, 11 and 15) make specific reference to and advance the role of land in sustainable development, with SDG Indicator 1.4.2 directly tracking progress in strengthening tenure security. The New Urban Agenda (October 2016): The NUA focuses squarely on tenure security, housing and community development as key requirements for sustainable, inclusive and efficient cities; envisages cities and human settlements that fulfil their social function, including the social and ecological function of land; and confirms the importance of the continuum of land rights approach and the role of GLTN. 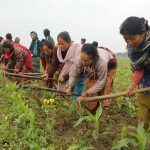 The Voluntary Guidelines on the Responsible Governance of Tenure (May 2012): The VGGTs have put land tenure at the centre of the planet’s efforts to secure tenure rights for food security and protect natural resources. The African Union Declaration on land issues and challenges (2009): States parties resolve to: 1. ensure that land laws provide for equitable access to land and related resources among all land users including the youth and other landless and vulnerable groups such as displaced persons; 2. strengthen security of land tenure for women which require special attention. 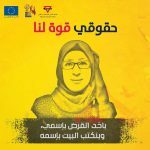 SDG 1, 2, 5, 11 and 15 – under the broader spectrum of poverty reduction, including combating hunger, increasing agriculture production, access to basic services, land and environmental degradation and to agricultural land for women. SDG Indicator 1.4.2 on tenure security, especially in terms of tool and capacity development of countries to monitor and report on it. Transparent, inclusive, participatory spatial planning and creating tenure security for all segments of society are pre-requisites for almost all, if not all, issues of the NUA. The programme directly contributes to the NUA commitments specified in paragraphs 13 and 35. The Framework and Guidelines for Land Policy in Africa (F&GLP) approved and adopted by Member States in 2010 and the Africa Land Policy Initiative (LPI), A consortium comprised of the African Union Commission (AUC), the African Development Bank (AfDB) and the Economic Commission for Africa (UNECA). 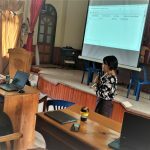 The on-going Regional Land Tenure Initiative in the Asia-Pacific region, particularly with regard to the implementation of tools and capacity development initiatives. Dubai Declaration on Land Governance in the Arab States adopted at the First Arab Land Conference in February 2018 in terms of knowledge and capacity development. The establishment of a regional initiative on land tenure issues in the Latin America and the Caribbean region. GLTN partners have since developed and implemented tools to support the implementation of the Voluntary Guidelines on the Responsible Governance of Tenure of Land, Fisheries and Forests in the Context of National Food Security (VGGTs) at country level (e.g. Kenya, Nepal). This collaboration will continue in Phase 3.